Thousands of radioactivity monitoring stations in Germany are now linked on a single interactive map. Hiding health threats today is not as easy as it was at the Chernobyl epoch. Few people know him, but Marian Steinbach has been one of the most relevant worldwide independent sources about the Fukushima nuclear crisis. He is not a nuclear engineer, nor a journalist. He was not even in Japan during those days. But he knows that visualizing data is as important as collecting them (photo credits: Greenpeace). Steinbach is a german user experience designer and a Twitter user. When the Fukushima crisis began, he searched for open data sources about the radioactivity level at different places in Japan. He found that Japan already publishes these data, but cares little about their usability. Moreover, there were private Geiger counter data available on the web. So, he gathered a little crowd among Twitter users and started to publish manually the data on a public Google spreadsheet. By monitoring the spikes in the radioactivity levels, Steinbach & Cro. could give notice of the multiple accidents taking place at Fukushima before official reports – quite reluctantly – did. The spreadsheet rapidly evolved into interactive maps and animations. 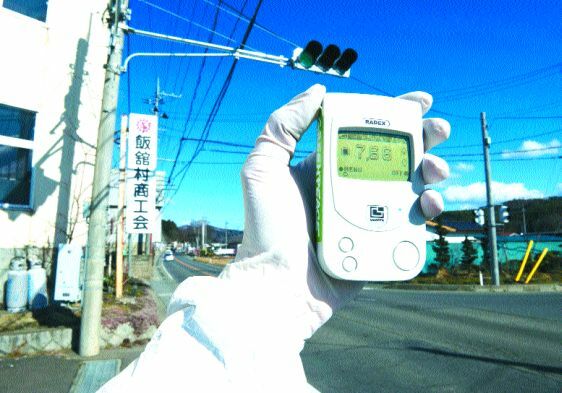 Finally, a Pachube.com page has been opened to crowdsource Geiger counter data from Japan. Now Steinbach has started a similar project about Germany, who has recently decided to turn off all of its nuclear plants in the near future. A page created by Steinbach on the Pachube platform collects feeds coming from 1750 radiation data sources. If something bad happens in Germany, it will now be harder to hide the truth. Tagged crowdsourcing, Fukushima, Marian Steinbach, nuclear energy, radioactivity. Bookmark the permalink. Is there any way of searching for a particular location from those 1750 data points? ?